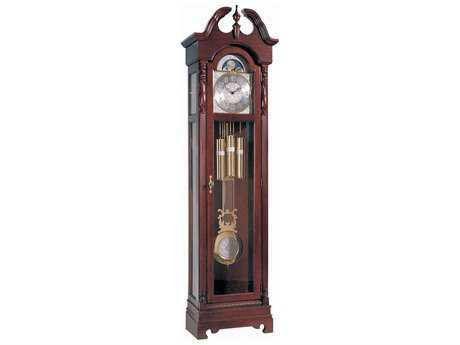 Traditional and elegant, a grandfather clock is the perfect crowning addition to any home interior. Ridgeway Clocks is among the premier American producers of clocks, including grandfather clocks and curio grandfather clocks. The brand is a subset of the Ridgeway Furniture Company, originally founded as The Gravely Furniture Company, and is a part of the furniture group that includes Hekman Contract, Kieninger, Howard Miller, and Hekman Furniture. 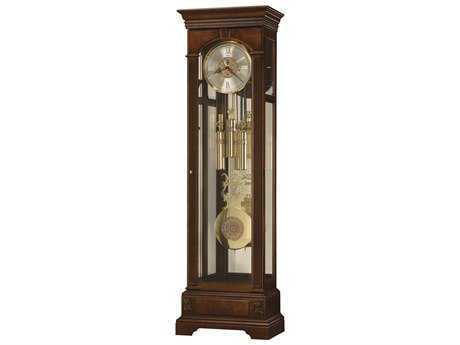 The Gravely Furniture Company was founded in 1926, though the long standing company did not begin crafting and distributing grandfather and curio cabinet clocks until many years later in 1960. 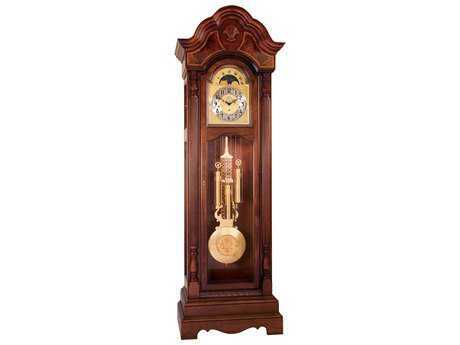 Today, Ridgeway Clocks is considered among the top American-made sources for grandfather and curio grandfather clocks, having gained a reputation for offering heirloom-quality treasures. Their products can be passed down from one generation to the next, and enjoyed for decades. 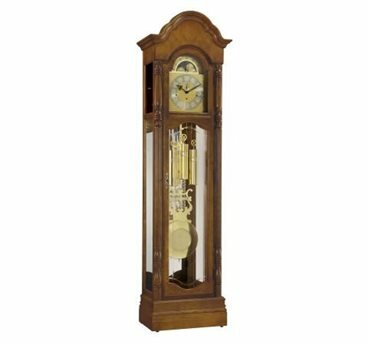 As the company has produced clocks for the past 57 years without interruption, they hold the position as the oldest continuous brand producer of grandfather clocks in the nation. 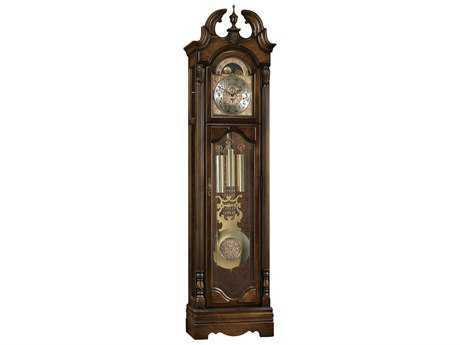 Many antique Ridgeway Clocks models are still in circulation, and are now a living part of American history. 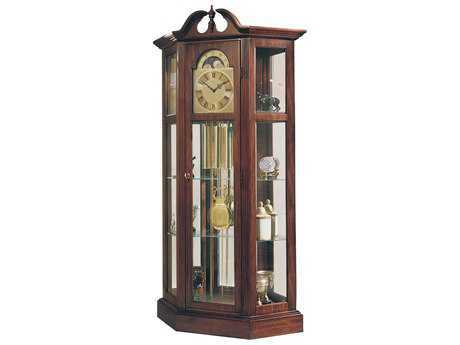 These treasurable pieces are crafted in the United States by American workers and are distributed around the world. 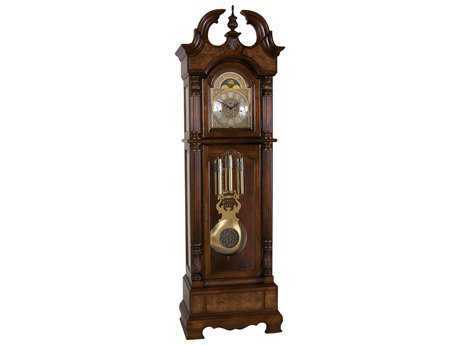 Grandfather clocks from Ridgeway Clocks typically feature a wooden, stained frame with ornate carved detailing. 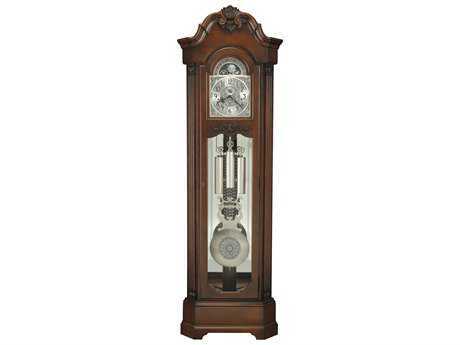 Glass front plates display the interior pendulum and workings of each clock, and these pieces typically feature metal hands, pendulums, and other hardware. 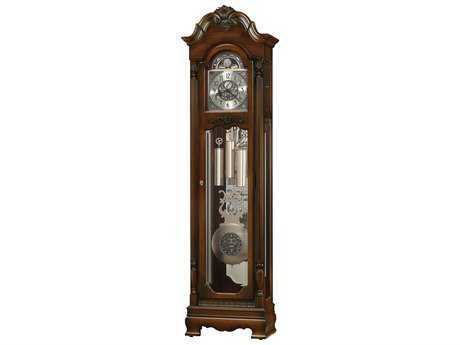 Curio grandfather clocks can be defined as grandfather clocks housed within curio cabinet standing units. 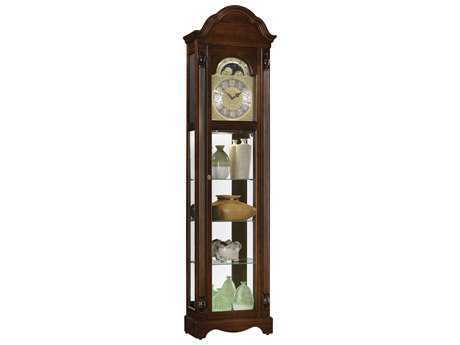 These clocks generally include shelves, perfect for displaying relics or other decorative accents. Curio grandfather clocks make for a highly functional, multi-faceted piece in your home. 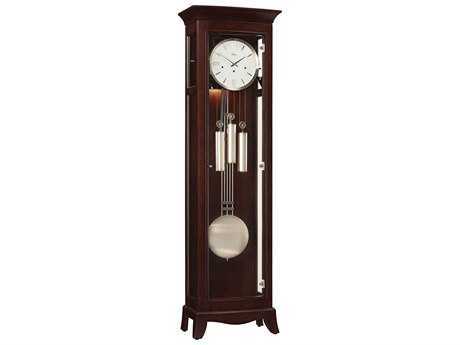 Ridgeway Clocks products typically include a chime function, which can be set to play one of several melodious tunes on the hour, half hour, or quarter hour. 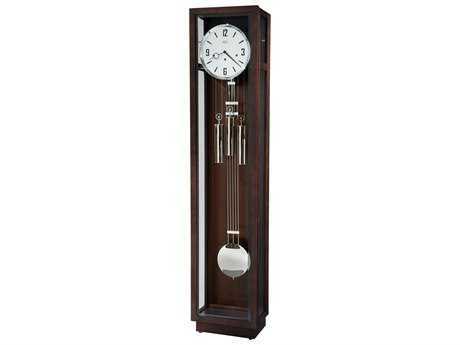 This handy feature makes it easy to tell the time, even when your clock is out of view. 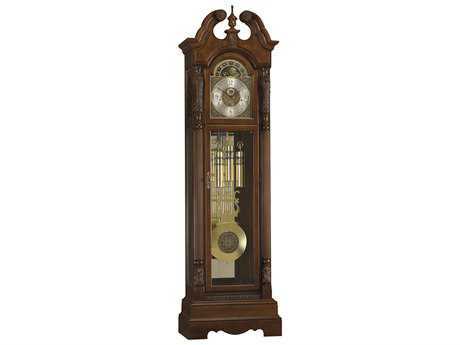 Most Ridgeway Clocks models include functional features typical to grandfather clocks, including a key lock door, weights, cables, and cable pulleys. 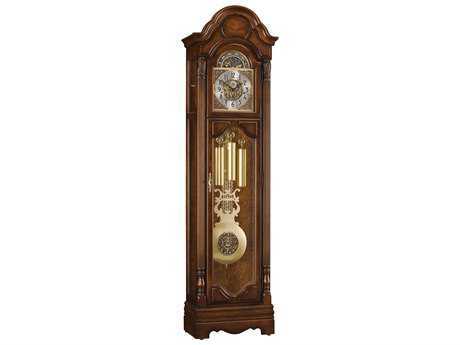 They also may include many of the popular decorative features common to grandfather clocks, such as a finial, a bonnet, a moon dial, toe molding, and more. 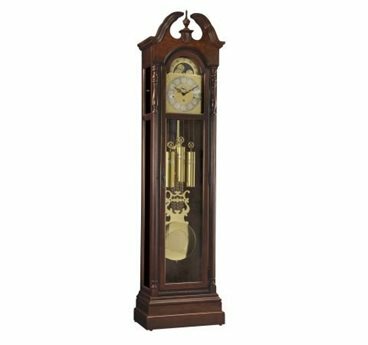 Ridgeway Clocks pieces are classic and graceful home items that bring decorative flair and an heirloom leaning to any room. 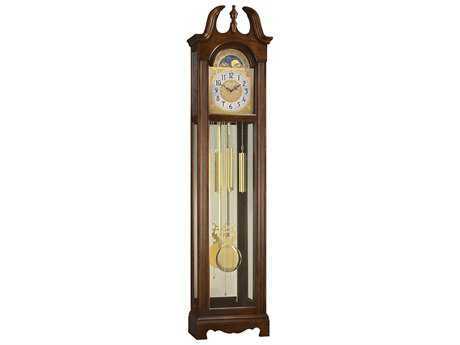 Their timeless aesthetic gives these pieces an enduring quality, while their premium-quality construction means they will last for many years. 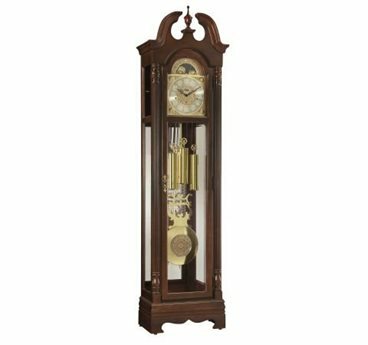 The company began producing clocks in 1960 and has held fast to a traditional, ornate aesthetic in designing their products. 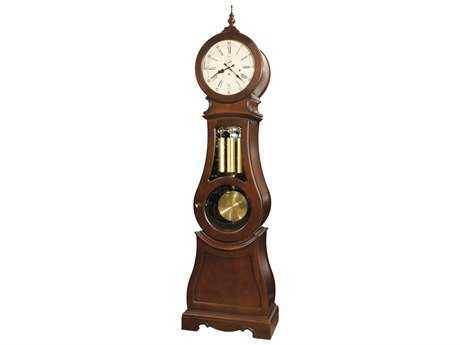 The Ridgeway Clocks aesthetic calls upon bygone Victorian era design as its principal influence, invoking a historical, classical ambiance even in contemporary homes. 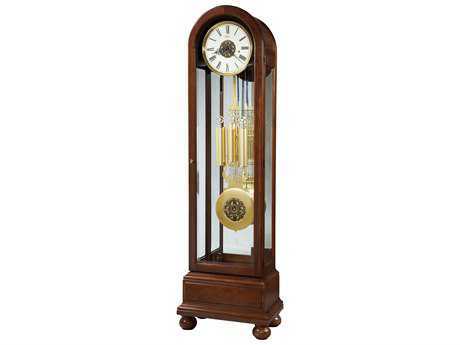 Today, the clockmaking company continues to offer their signature style of clocks along with several sleek, modern options. 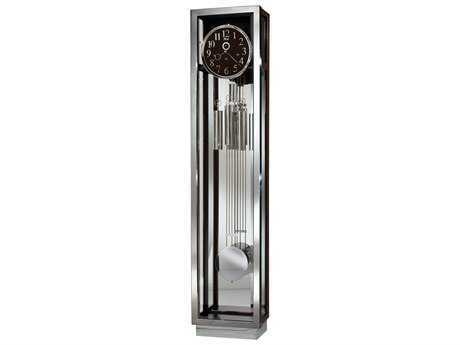 Contemporary clock styles can feature stainless steel chrome body design and a monochromatic palette.